In recent years, Thailand has been making itself the best possible destination for romance, honeymoons, and wedding. This is supported by the country’s geographical location. The country has an enormous chunk of land bordering Andaman sea to the west and Gulf of China sea to the east enabling the country to have a wide range of beautiful beaches. 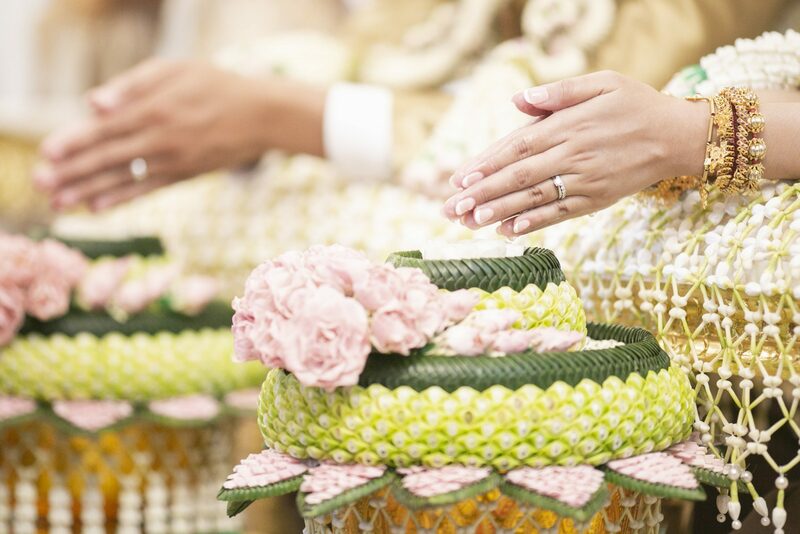 Getting married in Thailand for foreigners has become a common occurrence in recent years. Many of the foreigners want to make their special day a memorable one, and the beaches in Thailand offer just that. Before a foreigner in Thailand is allowed to get legally married there are a few procedures that must be followed. Failing to follow the procedure can mean that your marriage will not be legally recognized. How Can You Legally Get Married in Thailand? You may be a man or woman of foreign descent who is yet to obtain any sort of Thai citizenship and they want to get married to a Thai national. As a foreigner, you are supposed to go to your country’s embassy in Thailand and obtain an affirmation of freedom to get married. This is a document provided by your country that verifies that you are legally single and are therefore free to get married. This process may require you to carry several documents such as your passport, and at the end of it all, you will have to pay around 3,500 baht to complete the whole process. Translate the affirmation of freedom to marry into the Thai language – For any binding document to be registered in the Thai court, it must be in the official language which is the Thai language. The translation process may cost about 300 Baht. Take the two sets of documents to the ministry of foreign affairs in Bangkok to get them legalized. The next requirement is that the marriage has to be recorded in the office of the Amphur. This is the office that is charged with the registration of marriages. After the completion of this step, your marriage will be official and legally binding. The Amphur will issue you with a marriage certificate written in Thai. The next step involves delivering the marriage certificate to the consulate so that the marriage can be recognized back in your home country. But first, you will have to get the marriage certificate translated into your national language at the ministry of foreign affairs. Getting married in Thailand for foreigners has become a common occurrence in recent years. Many of the foreigners want to make their special day a memorable one, and the beaches in Thailand offer just that. Thailand is an exotic and majestic place to get married. It is recognized as Asia’s best wedding and romance destination. The country has a variety of beaches where a person can host their spectacular private wedding. This region is rated among the top 10 most romantic places on earth, making it the ideal place to have a beach wedding in Thailand. For a foreigner having a private beach wedding, Koh Samui will make your childhood fairy tales come true. There is a wide variety of wedding packages available to lovers to make their wedding in Thailand highly memorable. The region is riddled with a lot of private beaches that are well maintained and provide spectacular ocean views to the guests. The silence and the constant breeze make for a fantastic environment. This is the perfect spot where foreigners can have a private wedding in Thailand. This is one of the biggest islands in Thailand. It also doubles up as one of the best beach destinations the country has to offer. It is accessible through regular flights from the mainland or abroad, and it also acts as a gateway to the numerous islands that are located in the southern part of Thailand. The island has a host of luxurious hotels that offer a wide range of facilities. There are also private villas in case you require some privacy before or after the wedding. Phuket is also full of several pristine beaches where people can conduct private wedding ceremonies. The number of locals and foreigners who choose to get married in the city is on the rise. Koh Yao Noi has a lot of five-star resorts that provide great accommodation for both the couple to be married and their guests. If you want to have a big public beach wedding in Thailand, the hotels can provide some beach space for the event. The island offers the best beach wedding packages with a hint of the native’s hospitality. As foreigners, if you are seeking a more intimate and private wedding that involves only close friends and family, then you can opt for the private villas. These ones have secluded beach access where you can hold your private ceremony. Chiang Mai is not like other wedding destinations on this list. This is because it is not located along the shore but near picturesque rice fields. It surrounded by beautiful mountains. The most suitable time to conduct a wedding is between October and January. In this place, you can even go to one of the Thai villages to enjoy the natives’ hospitality. The elders will also be glad to bless your union. Thailand is a very beautiful country with the host residents always ready to extend their culture and their hospitality. Foreigners can legally get married in Thailand as long as they abide by the regulations laid out by the concerned authorities. 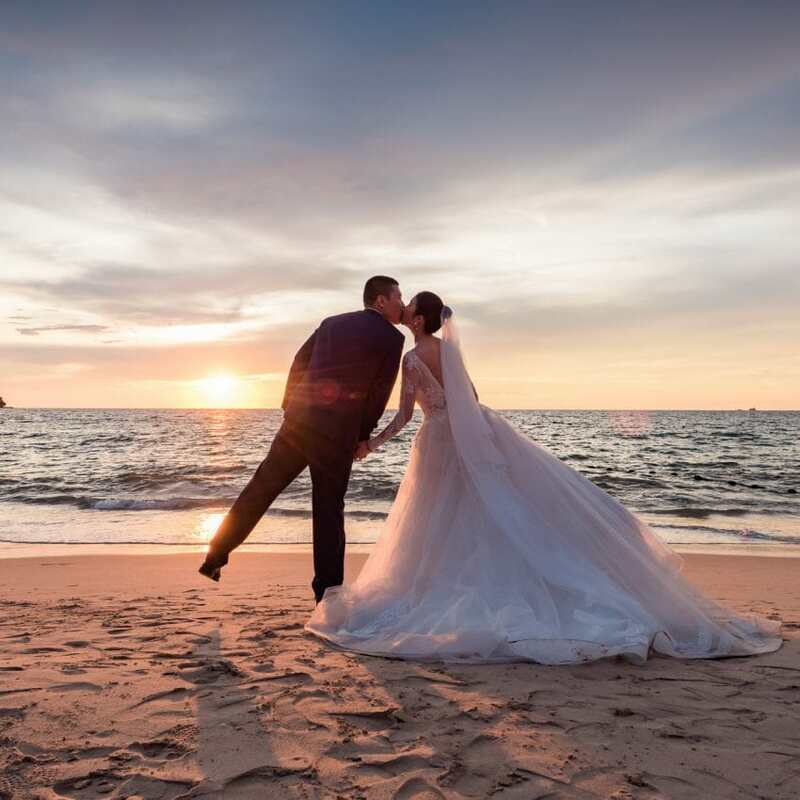 When it comes to wedding venues along the seashore, Thailand is endowed with so many options that will make you be spoilt for choice.